Hello. I am a music producer, based in London, UK, who produces pop/R&B songs. 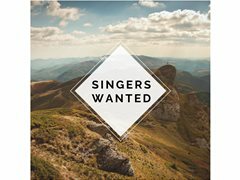 I am in need of male and female vocalists, who will be able to record demos for pitches to artists and their teams. The vocalists need to have their own equipment to record the vocals. No editing needed as this will be done by me upon receipt of the stems.